In life, no two relationships are ever going to be the same. There is a never a “one-size fits all” for any situation, and that couldn’t be more true when it comes to wedding planning. I’ve seen couples who are both very much involved in wedding planning, and I’ve seen couples where the groom let the bride take the reigns. For us, my husband was in between. To him, finding the right ring and planning how to propose was his “moment” and the wedding was mine. He “didn’t care” about what we planned but in the sense that as long as we stayed in budget and he was included on the big decisions, he was happy with whatever made me happy and would help out with anything I needed help with. Perfect situation, right? But what about the bride whose significant other is too involved? Or the bride who can’t get her future hubby to even think about wedding planning? 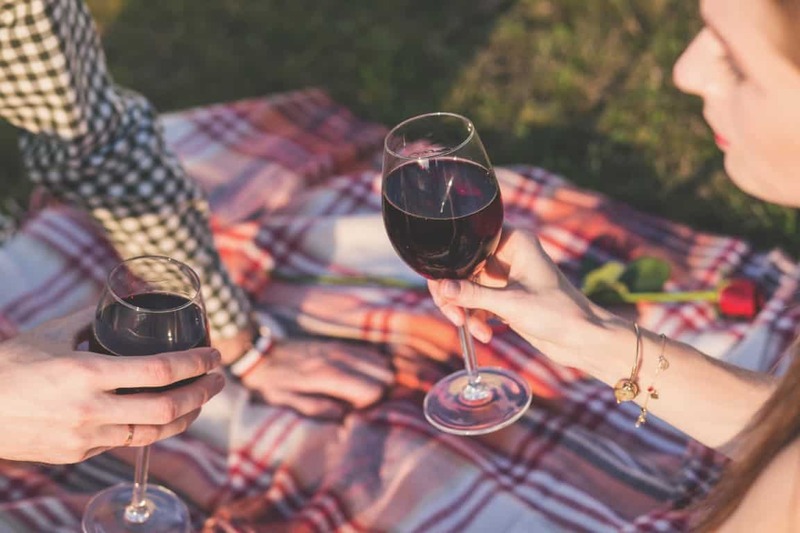 Here are five ways to involve your significant other, no matter how involved he wants to be. Spoiler: Some of these can get your man involved without them him even realizing it’s happening! Wedding planning includes some really big decisions. How much are we going to spend? Where are we going to get married? Who is included in the wedding? Buffet or sit down? Being husband and wife is all about being a team – what better way to be a team than to make the big wedding planning decisions together? He may not want to know every little detail but keep him in the loop! Find out what kind of atmosphere he’d prefer for the venue, figure out your budget together, decide who you both want standing next to you on the big day! This is a great opportunity to start shaping your wedding day to reflect both you and your future husband and for you to grow as a couple. 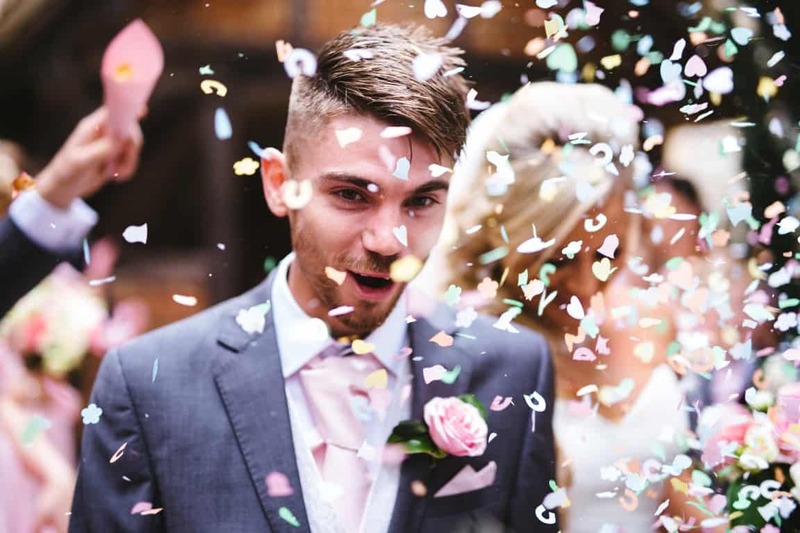 It’s important that both of you are happy on the big day and even though he may not take as much interest in all the details, there’s definitely aspects of the day that are important to him and he wants to be included on. 2) You Had One Job! Okay, it can be more than one job but think of something that he may enjoy choosing or planning and let him run with it! 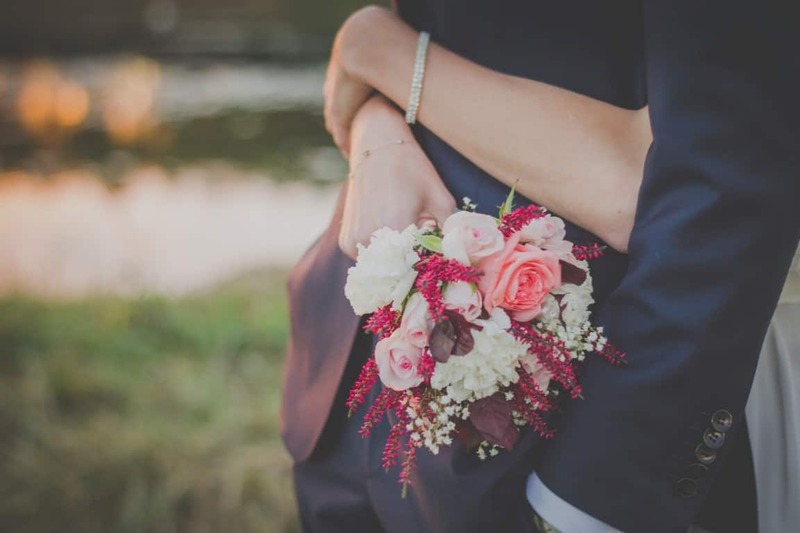 The bride has so many decisions to make that the groom may not really want to be involved with or traditionally can’t know about, so it’s great to find ways to get him involved without putting too much pressure on him. They say a way to a man’s heart is through his stomach. Well, one of my husband’s favorite wedding planning items to check off our list was the cake. And by the cake…I mean the cake tasting. I picked out the design of the cake which he saw and said he liked but let’s be honest, he wasn’t as concerned regarding what the cake looked liked – he was way more excited about what the cake was going to taste like. He took the reigns on that and let me tell you even when we ate that cake a year later on our anniversary it was still delicious! Picking out the cake, narrowing down the menu, picking out styles for the tuxedos or even establishing what’s needed at the bar are just a few great ways to get him involved. So your guy isn’t a fan of all these meetings with the different vendors. Who can blame him? Sometimes they run way longer than needed, they can be far away depending on where you’re looking and then you get to hear about all the money you have to spend. Well you know the saying: “When life gives you lemons…”. Make a day date out of your meetings. When my husband and I were looking at venues we looked at places as close as an hour away and as far away as 3 hours. Some of the venues were located in our favorite getaway towns, so what did we do? We made a day of it. We went to our favorite restaurant, visited shops, went to the beach. Other venues were located in places we’d never been to so we would grab lunch or dinner at new restaurants. Be creative. See if there is a nice park close by and have a picnic or see if there is a brewery nearby you can check out. Some of my favorite memories from wedding planning are the days we had to meet with a vendor – even when it ended being a vendor we weren’t interested in. The road trips allowed us to be together and be present. My husband didn’t even know he was involved in some of my favorite wedding decisions until the big day. I am huge on details. There were aspects of our wedding that when it came to making a decision I put more time and effort into planning it than most would. And most guests probably didn’t even notice some of these tiny details but they were very special to me because they were special to us. For me, those small details mostly came in the form of the music. My husband and I love music – one of our first adventures was traveling a couple states away to go to a concert and our taste in music (for the most part) has always been something we’ve had in common. Other than the music that went along with all the booty shaking at the reception, there was a reason it was played. When the bridal party came out, when I walked down the aisle, when we were announced as husband and wife after “I do”, the reception entrance, our first song, the cake cutting – each and every song was specifically picked for him and for us. There are so many opportunities to incorporate your significant other in your big day. It could be in music, it could be in a special reading during the ceremony or your vows, it could even be with a groom’s cake or sneaking a little bit of something he loves into the design on your wedding cake. These little details may go unnoticed by the guests, but he will definitely appreciate the thought. One thing I loved and hated about wedding planning was how relaxed and laid back my significant other was. It was amazing because (within reason), I planned my dream wedding without any issues but I felt so bad that almost everything was how I wanted it. Even when I would express this he would reassure me that he wanted me to have the special day I envisioned. Well, I just wasn’t having that. I love to give and just had to think of a really special way to involve him. He’s such an important person to me and I wanted him to know that the engagement, the planning and big day was just as much about him as it was me. So I decided to surprise him and have our engagement pictures taken at Fenway Park. And ladies, let me tell you, it was a huge hit. First of all, he LOVED it. Second, it made it so much more fun. I’m not a huge baseball fan but we had Fenway Park basically to ourselves and we were seeing areas of the park most people never get to experience. (You can check out our engagement session here). Incorporating something he loved was a great way to keep him involved with the wedding planning even if he didn’t know! Some brides surprise their grooms with a performance during the reception, or incorporate a hobby of his in the decor or pictures. 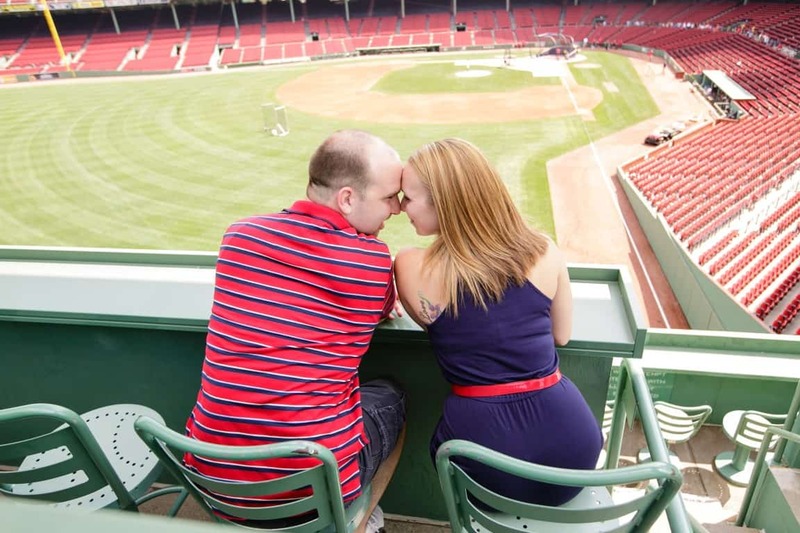 You don’t need to surprise him with a engagement session at his favorite team’s ballpark to surprise him with something he’ll love and can make the day more even more special and fun for him. Wedding planning is such a special time for a couple and can really bring you even closer than you already are. What ways did you incorporate your hubby to be when it came to the big day? Tell us in the comments below! came to their wedding planning and is happy to share her experiences and advice with others. When she’s not thinking about weddings you can probably find her nose in a good book or scouring Pinterest for new craft ideas. Follow her on Twitter or Pinterest! Excellent ideas here! Thank you for sharing this!